2016 is going to be a big year for Top Dawg Entertainment, with an album from Kendrick Lamar already out and upcoming releases from ScHoolboy Q, Ab-Soul, Isaiah Rashad, and SZA all on the way. If this tour were to feature TDE’s full roster, that means it could include the aforementioned artists, as well as recent signee Lance Skiiwalker, and Punch, the label’s co-president who also makes music of his own. 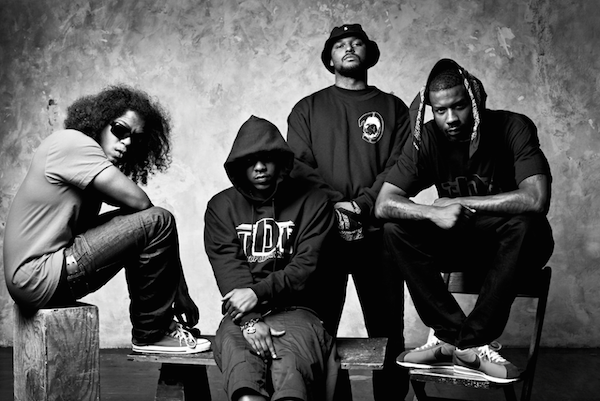 This could also mean performances from Black Hippy, a supergroup consisting of Ab-Soul, Jay Rock, Kendrick and ScHoolboy Q, who are hoping to release an album in 2017. Free also tweeted that he’s “working on something special for y’all” that should “be ready next week,” and said that Rashad’s upcoming album is done.